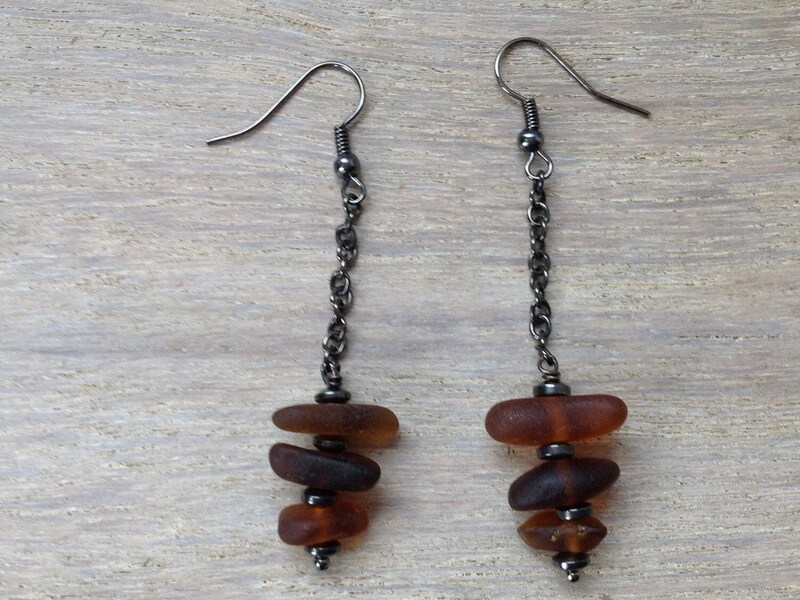 Indian summer on the beach. 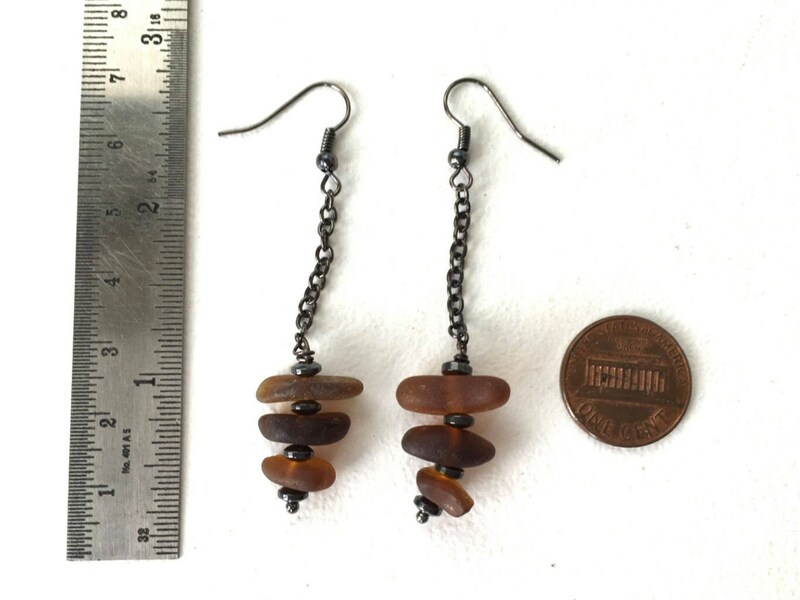 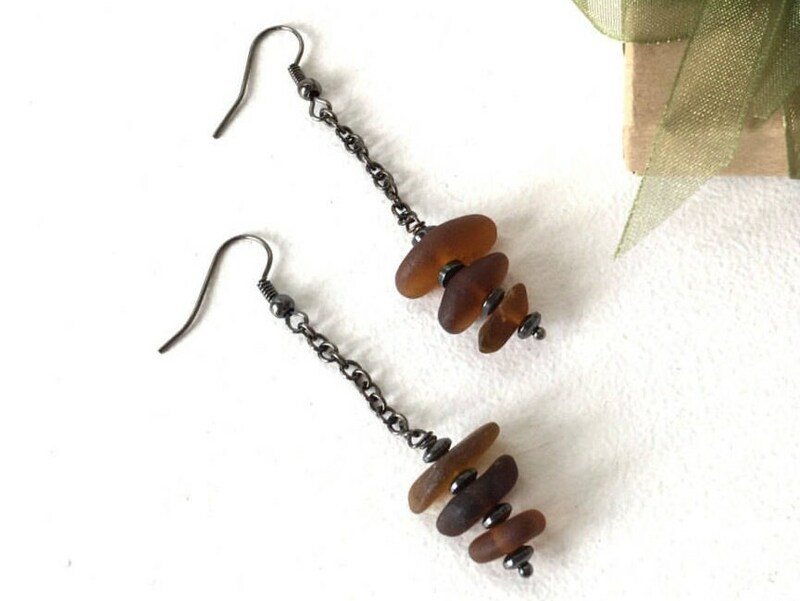 Handmade brown sea glass and hematite earrings. 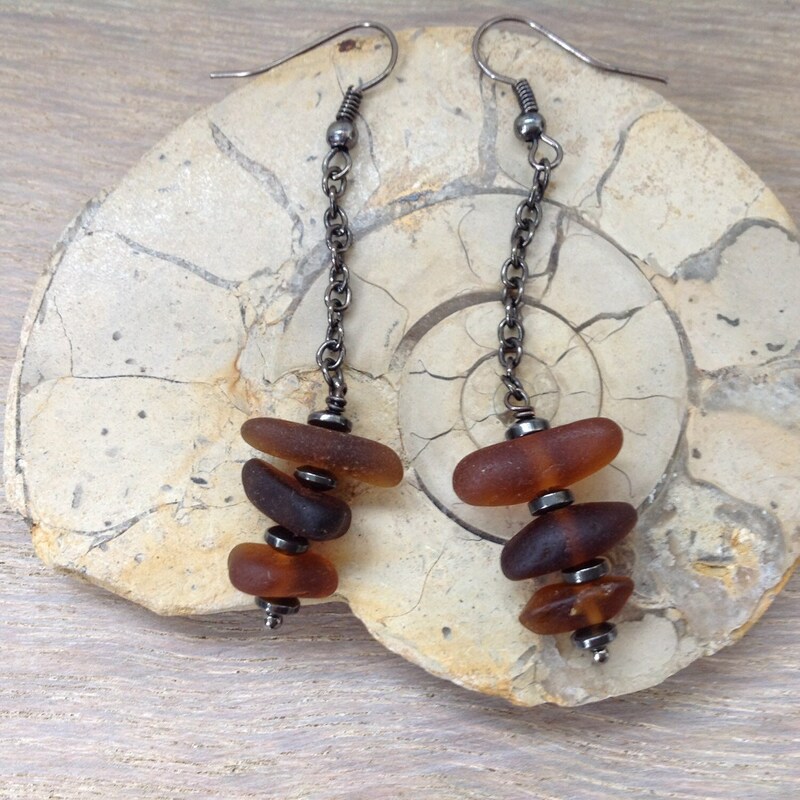 Last year in England we had a lovely Indian summer, we spent some of it on our favourite beach in Cornwall, beach combing, collecting sea glass and sea washed china. 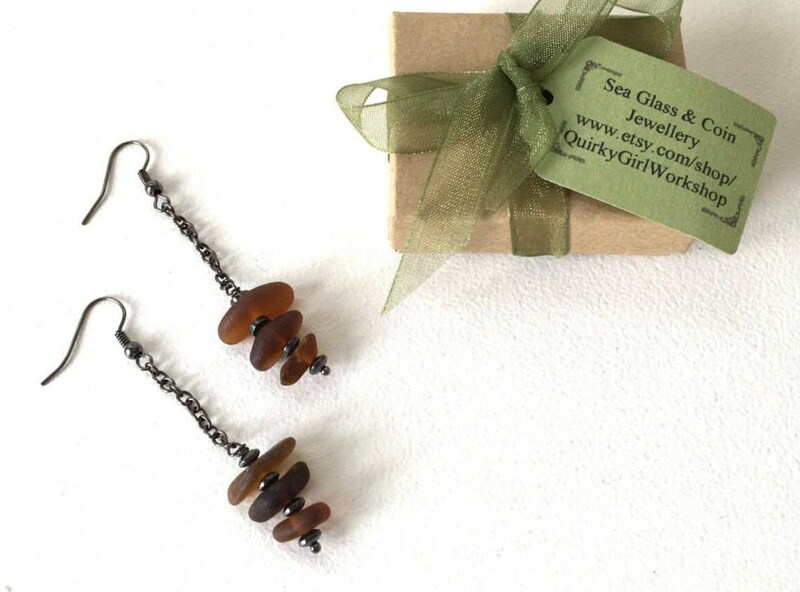 To make more jewellery.